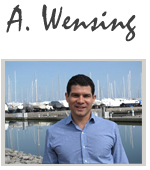 Bio | Alfred Wensing Real Estate | REMAX Real Estate Centre. Professional Advice, Personalized Service, People Focus - these are Alfred’s trademark qualities that distinguish him as a real estate agent who combines true passion for real estate and people, with leading-edge industry competence and outstanding service to clients, he truly enjoys the process of bringing people and homes together. When listing your home or looking for a place to call home Alfred is a great asset to clients in all stages of life, seeking the right home for their lifestyle - always attuned to their specific needs, preferences, and budget. He helps you make one of your most important life choices, while guiding you wisely every step of the way, ultimately ensuring a clear and smooth process of buying, or selling your home. 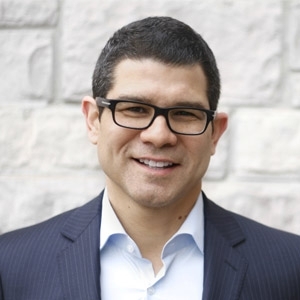 Alfred comes from a Professional corporate background working as an Account Executive for well respected firms such as Rogers Media, Telus Business Communications and as a Sr. Account Executive for Bell Canada Corporate Communications. Alfred grew up in Toronto, lived in Mississauga for over 20 years but now resides in Beautiful Milton Ontario with his Wife Diane and their two sons Konrad and Michael. Prior to joining Remax Milton, Alfred started his Real Estate career in 2009 with Royal Lepage in Mississauga. Alfred is also the original founder of Housekeeping Inc.
Alfred services Milton, Mississauga, Oakville and the GTA.